I'm happy to say that the giveaways here in Bloggers Tech is back! I am aware that everyone is looking for this, I was busy with a lot of stuff. I'm working for clients and the new features of this blog and the other blog. Whew! So anyway, I know you want to get started and enter the giveaway to WIN! I'll try my best to have at least once a month giveaway event in the blog so you'll also be able to enjoy and make money with the blog. Please do take note that this giveaway is only open for residents in USA, Canada, UK and Australia. Join now! 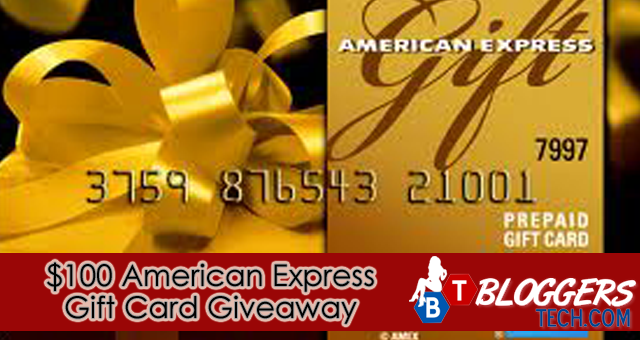 Welcome to the $100 American Express Gift Card Giveaway! 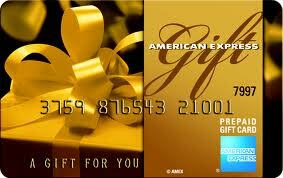 Enter to win a $100 American Express Gift Card. Ends at 11:59pm EST on September 16th, 2012.